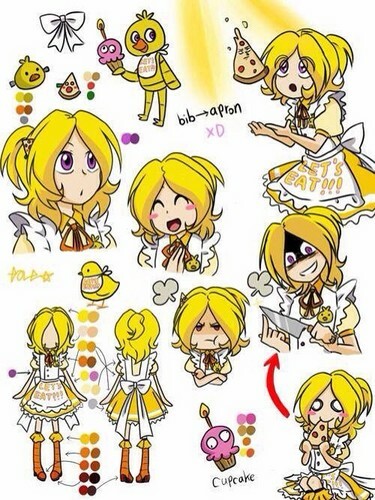 chica human. . Wallpaper and background images in the Five Nights at Freddy’s club tagged: photo. This Five Nights at Freddy’s photo might contain anime, bande dessinée, manga, and dessin animé. some things different about the thank toi image.